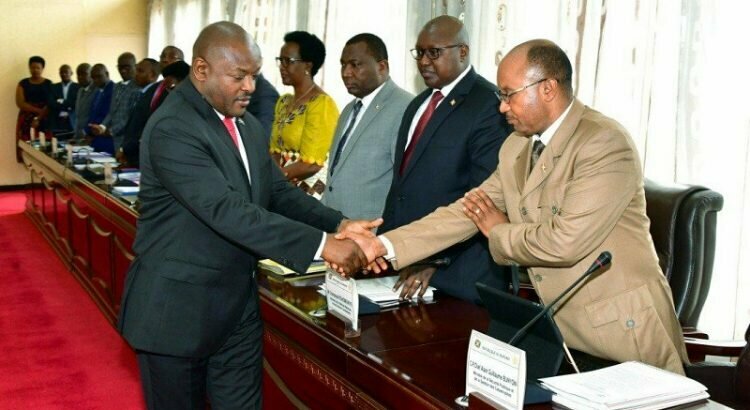 BUJUMBURA November 29th (ABP) – The Cabinet met on Wednesday November 28, 2018 under the chairmanship of the Head of State, Mr. Pierre Nkurunziza, with thirteen items on the agenda, according to the statement from the General Secretary of the government. This is the bill revising the law N°1/31 of December 31, 2013 on the revision of the law N°1/01 of January 4, 2011 on missions, composition, organization and functioning of the National Commission for Lands and other Goods; the bill revising the law N°1/26 of September 15, 2014 on creation, organization, composition, functioning and competence of the special court for lands and other goods; the decree bill on creation of the appeals courts in Makamba, Muha, and Ntahangwa as well as their general courts. The three bills were to be presented by the Minister of Justice, Civic Protection and Seals controls. Five other items, presented by the Minister of Public Health and the Fight against AIDS, concern the ministerial ordinance bill on the evaluation modalities and homologation of traditional medicines, the ministerial ordinance bill on the authorization of the opening of the health care institution using traditional medicine, the ministerial ordinance bill on the creation and functioning of the national network of traditional practicing associations in Burundi, the ministerial ordinance bill on the setting up of a pharmacovigilance system for traditional medicines in Burundi, and the ordinance bill on the deposit and instruction modalities of homologation requests for the import of milk substitutes. The five bills were presented. The Cabinet Meeting also analyzed the bill on the organic framework of social protection. It was presented by the Minister of Human Rights, Social Affairs and Gender. 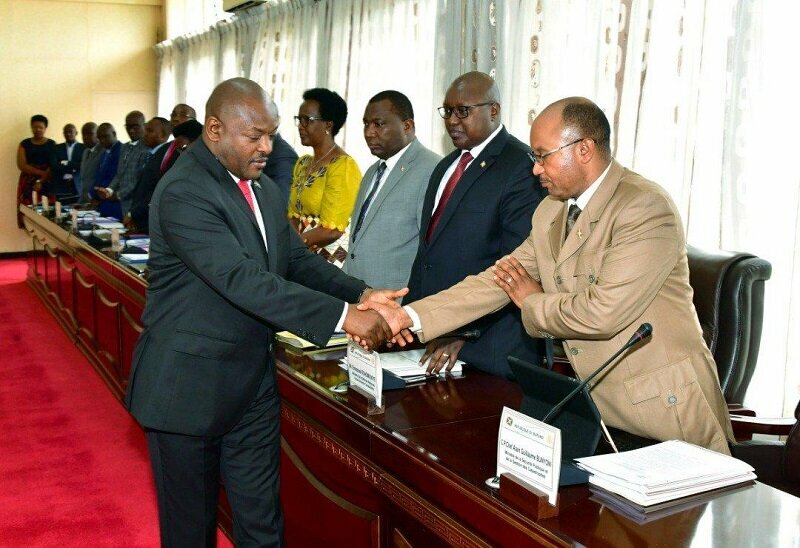 The other item related to the bill of construction contract of the Burundi National Police hospital was presented by the Minister of Public Security and Disaster Management, while the decree bill on the code of ethics and deontology in public markets and the evaluation card modal bill on performance of project managers were presented by the Minister of Finance, Budget and Economic Development Cooperation. Finally, the Cabinet Meeting discussed the miscellaneous.